The ships look like Babylon 5’s Star Furys! I smell some Starfuries… you more often see that kind of media cut and paste in the slavic markets… Interesting. Dang, ya gotta be quick around here. I understand the rumor is that the space ships look like Star Furies. I noticed the Nazi-like helmet. Also John, “Brain in a Box” should be the name of your next band. The german word “einheit” can also mean “union”, so I think it is actually a pretty good translation if you value maintaining the double meaning of the word “division”. I can’t see any Star Furries on the cover. Oh wait– that’s probably a different book. The tidal forces on that planet must be insane. The rents are reasonable, though. where are the laser beams? I would agree that Einheit is a reasonable choice. A military unit would probably be referred to as Abteilung. Einheit can, and frequently does, translate as “unity” or “unification”. The day of East/West German Reunification is “Einheitstag”. A more accurate reading of the title would be, “The Last Unity”. Maybe “The End of Unification”. Did you write a Clone Wars book? Or is that not what “Krieg der Klone” means? Such covers plus the often ridiculous german titles are the reason for me to buy and read the originals. @Ej: Afaik “Krieg der Klone” is the german title of “Old Man’s War”. dumb question: what does the “HEYNE<" in the upper left and "ROMAN" in the middle right refer to? I’m playing around woth some translators, looking for what might read as a suitable translation for “The Human Division”. Of course, the problem is ambiguity as to the definition of “division” being used. Heyne is the publisher and “Roman” means novel in German. John, are any of your books translated into Russian? I was in a bookstore in Moscow last month and thought I’d send you a picture of one, but alas not to be found. Nor in the English SF section, either. SF appeared to be very popular there, from the shelf space it got. I have several books in Russian, actually. Heyne? Hopefully no soup ads, then. Wait, what happened? 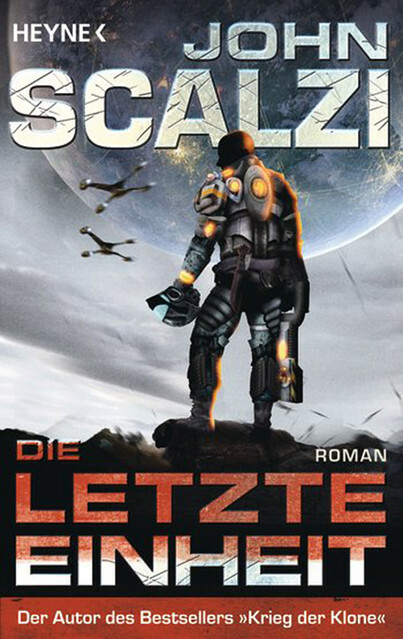 I thought German Scalzi covers were always supposed to have spaceships shooting lasers. I would note that “The Human Division” actually features some spaceships shooting lasers or at least particle beams, unlike some previous German Scalzi books whose covers were previously featured here . . . I, too, am disappointed by the lack of lasers emanating from the spaceships. I’ve always wondered how publishers get away with straight up ripping off art from other sources. It looks cool but isn’t someone at Warner Brothers going to say hey, you cut and pasted some Starfuries from our property, stop it? On entirely unrelated news Old Man’s War is one of the few English sci-fi books I’ve seen available here in Korea. We don’t get much in stores, you’re in good company. For example in fantasy my local place only has Tolkien, GRRM, and Patrick Rothfuss. Why do so many people get worked up every time some spaceship looks like some other spaceship? Warner Bros has plenty of lawyers, presumably if the Starfury resemblance bothers them they can hash it out with Heyne’s lawyers. Why does anyone else care? Why isn’t he green. Boo. Im Westen nichts Neues does not directly translate as All Quiet on the Western Front either. And yet. This is probably more German than all of y’all wanted today. Doug, Abteilung (Abt.) is sometimes used for divisions in the more administrative sense (e.g. Abteilung Flugbetrieb der Bundeswehr, various Swiss military units — might be more common in Swiss German, actually). More navy division than army division, that is. I’m pretty certain that Babylon 5 needs them back ASAP… something about illegal orders, President Clarke, and another division amongst humanity and all. I hear Jules Verne is hella ticked off at all those early 20th century engineers brazenly ripping off his illustrations. I would like to see a photograph of someone in front of the moon filing that much sky. I can’t imagine how you could do it. You’d need a massive telephoto lens and then have the guy stand a quarter mile away? holy crap. it HAS been done. She was 1.5 miles away. and had a 800mm, break the bank, piece of glass. 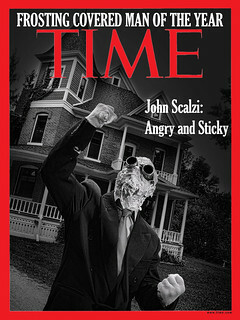 The picture is awesome. Alright. If that picture was taken by his buddy standing next to him, the moon on that cover should either start undergoing fusion or turn into a black hole. Black hole. 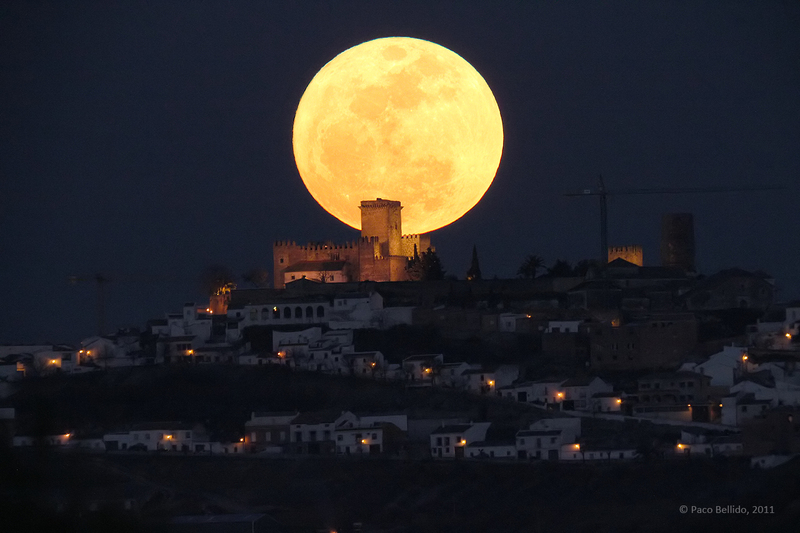 A sun-sized object of lunar density would be well over the Chandrasekhar limit. Though you may want to take my work with a grain of salt today. Ach, Studer, thanks! I also want to say that Abteilung has various uses in the org charts of intelligence services, but I can’t think of a concrete example right now. Die menschliche Abteilung would still be a sucky title. Abteilung, at least 1945 and prior, was used to refer to battalions, as in Panzerabteilung. It could also refer to detachments. 1) Very good book, loved reading the chap-thingies, thanks. It seems to have stimulated a more episodic style, kind of half way between novel and short story. Interesting and fun. 2) I’ve read everything you’ve published now, so please write more immediately. 3) The US cover is cool, so why do you think the publisher feels it necessary to pay for different artwork on the German edition? @Chris Ashton: I’m not John (obviously), but given that, as far as I’ve observed, covers in different countries are always ALWAYS different, my guess is that the US publisher owns the rights to the US artwork, so the German publisher would need to pay either way, and it’s simpler just to pay for new artwork. 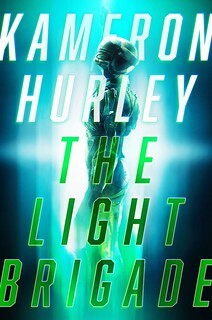 While they’re at it they can try for art that’s relevant in the context of current German sci-fi cover trends. My guess, FWIW. Basking in the B5 nerddom here.